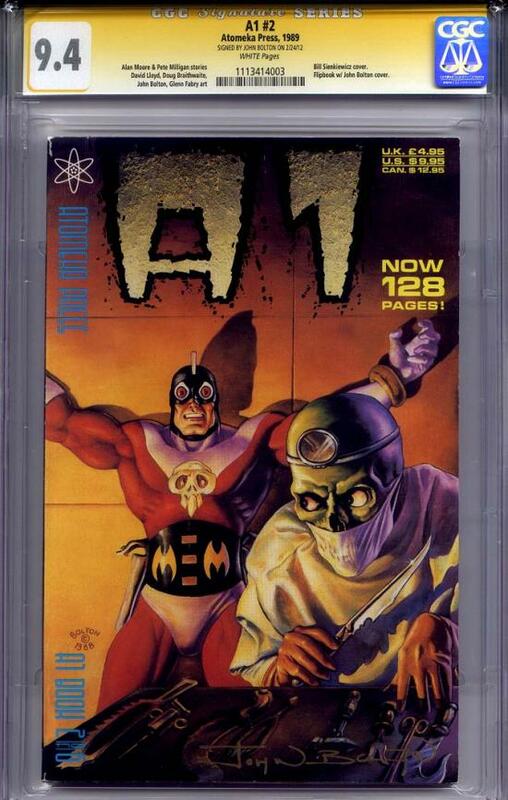 A1 #2 CGC 9.4 Signature Series signed by cover artist JOHN BOLTON. Published by Atomeka Press in 1989, this anthology series from UK creators remains a very hard set of books to findn in high grade. This remains the only graded copy of this book to date.